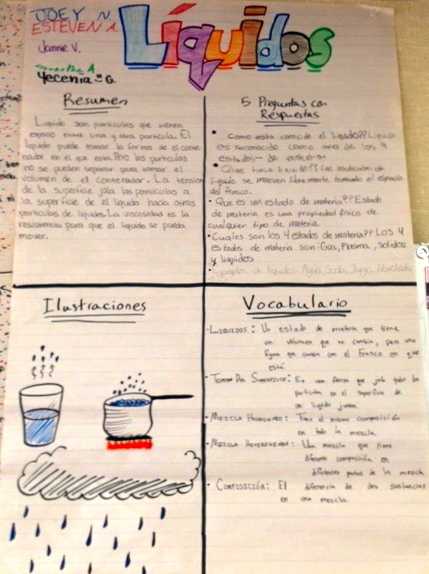 What Happens Inside a Dual-Language Middle School Classroom?SpanglishBaby	What Happens Inside a Dual-Language Middle School Classroom? Last week, I gave Spanglishbaby readers the opportunity to take a special peek into a kindergarten classroom at a dual-language school. I received many great emails from parent to teachers – THANK YOU for all your questions and comments. I also got quite a few requests asking me about dual-language in the upper grades (not just 4th or 5th grade, but beyond). I am excited to be able to share with all of you great insights as well as amazing images about the work that takes place in this middle school with a dual language program (6th, 7th, and 8th). First, and as it happened in the kinder classroom, images were everywhere. 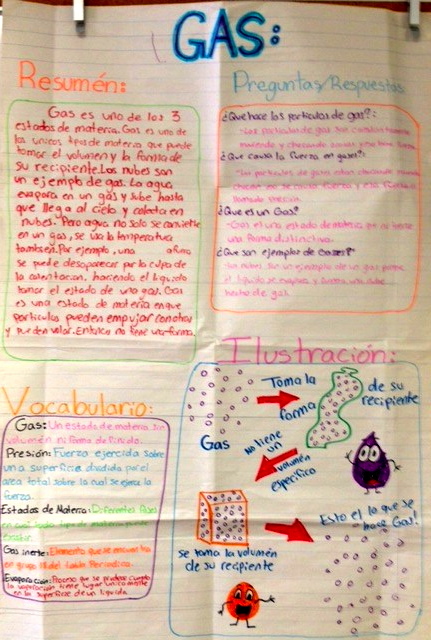 These images support the more sophisticated vocabulary work that takes place in the upper grades. 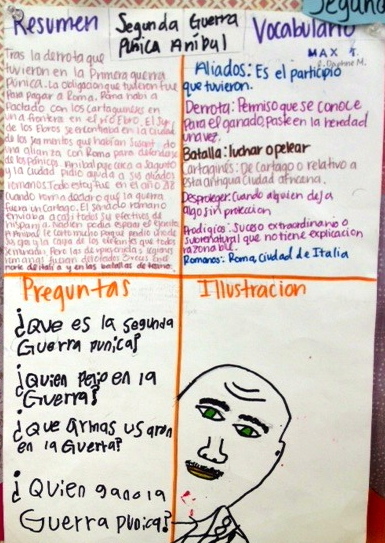 I was pleased to see how illustrations were present in science, literature, math, as well as social studies. There is great emphasis on vocabulary instruction and this was reflected on the work that I saw posted on many of the walls. 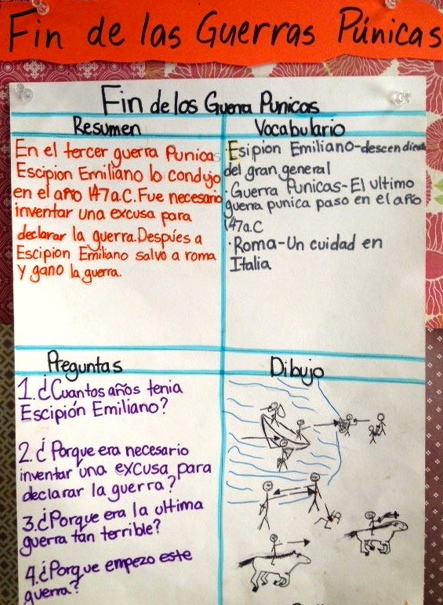 Second, one has to remember that students are not only speaking and reading in another language but they are also writing. This is no small task as both oral and written fluency are clear expectations. As a Spanish native speaker myself, I can recall how difficult it was to write in both languages at the beginning, but these young adults do it marvelously. 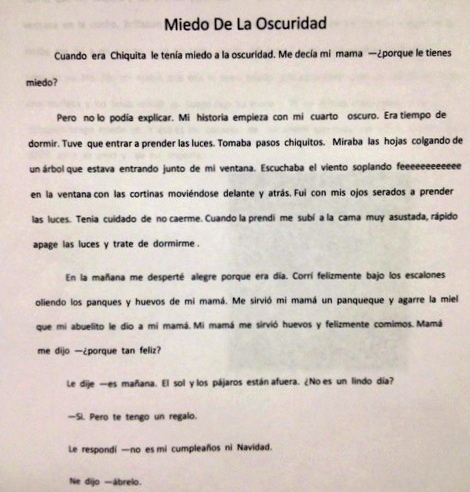 I captured a couple of images of a sixth grade class that had just published personal narratives (narrativas personales en español). 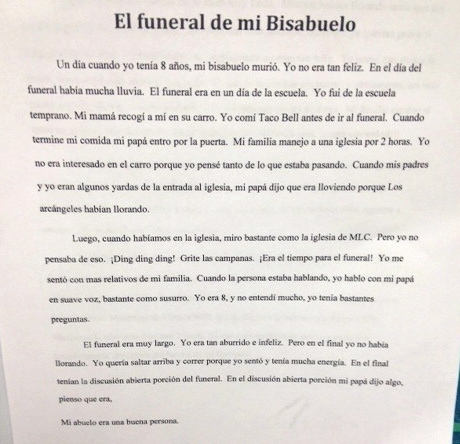 I was really moved by many of the topics several students selected and how well developed their stories were. Third, and as I had mentioned on previous posts, children would rather read and write in English than in any other language (here in the U.S). 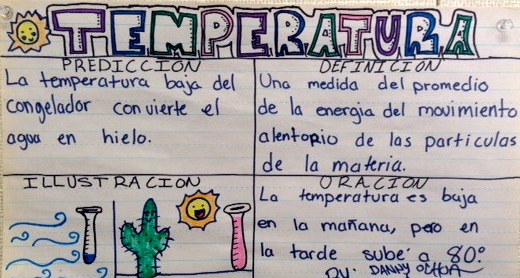 Here comes the balancing act that teachers educating in these types of programs have to do: How much reading and how much writing will be done in each language since resources are very hard to come by? 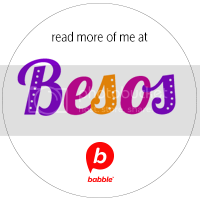 (Spanish resources that are well-written that is). It really takes commitment from both family members and teachers to help children continue developing their academic skills in more than one language. I am content to see that there is an increasing trend when it comes to speaking more than one language. 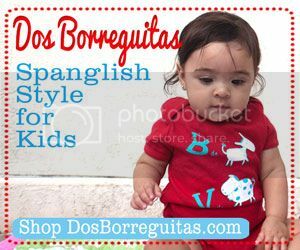 Therefore readers: Do you have an older child attending a dual language program? 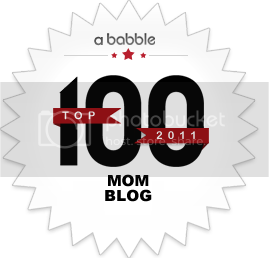 Do you teach your older child/children to be biliterate/bilingual? How do you do it and what resources do you use? I love to hear from you and the great things you do. Where is this program located? How exactly do they structure classes (Science = Spanish? Math = English?, etc.). My district is researching how the program can continue into middle school, we currently serve grades PK-3, with some pilot schools up to 5th grade. My e-mail is carolyn_slavin@roundrockisd.org – if you know any more details, feel free to send them my way! Thanks so much for this visual of what a middle school class looks like! 1-Location of the program: This program is in Southern California (a K-8 dual language school/English-Spanish). There are quite a few programs in SoCal, this one in particular is located in Canoga Park (Multicultural Learning Center to be specific). 2-Structure: The school starts with a 90/10 in Kindergarten and moves up 10% each year. For example, in first grade, students are at a 80/20, in third grade 70/30, in fifth grade and above 50/50. 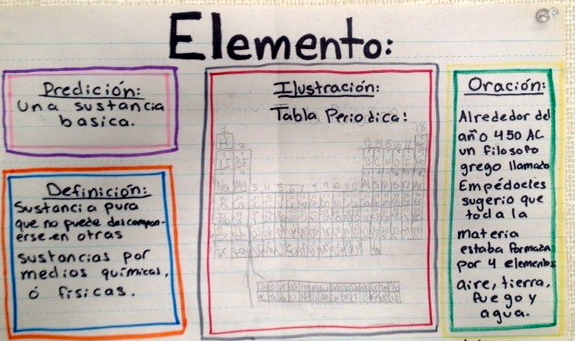 In middle school, the subjects are not broken down into Science=Spanish, Math=English or so on. 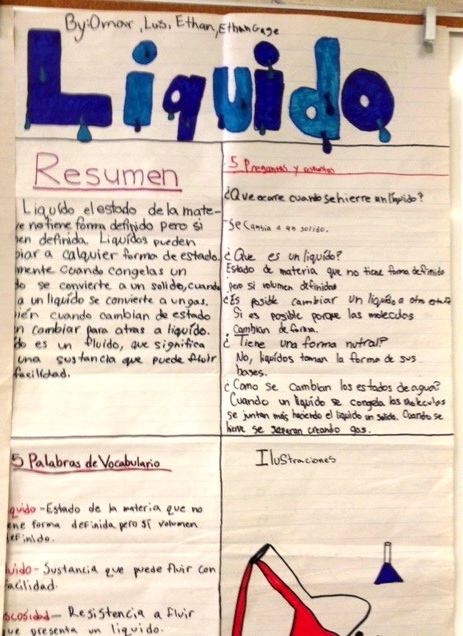 The subject are planned by units, so there may be a Science unit in Spanish and then a Science unit in English. Teachers take into account availability of resources, and other things….so this is highly variable. They aim; however, for a 50/50 balance overall. If you have any other particular questions, I will be happy to shed some light. I’m also curious about this specific program. 90/10? 50/50? Did the kids all come from DL elementary schools? What is the ration of SLL to ELL? We’re going to be the leading edge of a pilot DL program moving up into middle school. I’m wondering how that is going to look moving forward, especially for the SLL who are not getting as much Spanish as they should be, despite the teachers’ best efforts. -Ratio/it varies from school to school, but really mixed. You do have Caucasian, African American, and Hispanic children (as well as other races) in each classroom. It varies, but the optimal would be to have a great mixture. Hope I was able to answer some questions….let me know if you have any more, I would be glad to help. My name is Marisa and I will be the 6th grade middle school Spanish language teacher in our first year of middle school in Oakland, CA. These students are coming up from kinder in a 90/10 program that has reached 50/50 language ability. I am wondering if you know where I might find Spanish language anchor texts I can use to model both excellent as well as inaccurate Spanish language writing at the beginning of the year? 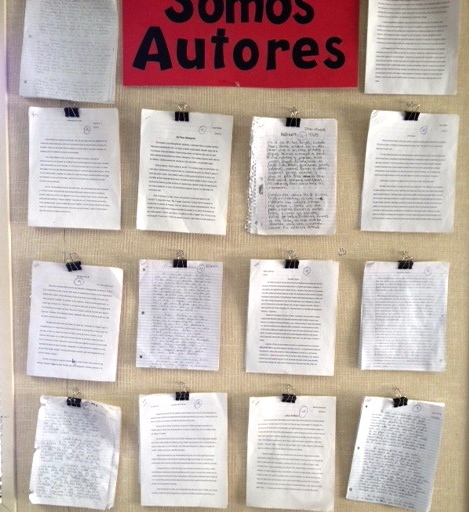 I believe it is very important for students to see what is expected of them at the beginning of the year, so they will push themselves to meet their writing goals. Can you help direct me to some excellent resources? I click on a lot of links that no longer exist, or that have technical issues. Gracias!